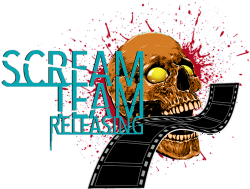 Scream Team Releasing presents the first release in the all new Blu-ray line of films called “Scream Team Drive-In Double Feature”. Writer/Director Brooklyn Ewing (BEST DIRECTOR – Nightmares Film Festival 2016) brings you a double dose of the soon to be next horror icon, Alfred James Ellis III in SHE WAS SO PRETTY. This cult following film franchise was once only available to watch by attending a viewing at film festival or convention, but now you can bring the CREEP home to snuggle up on your couch and eat circus peanuts together! 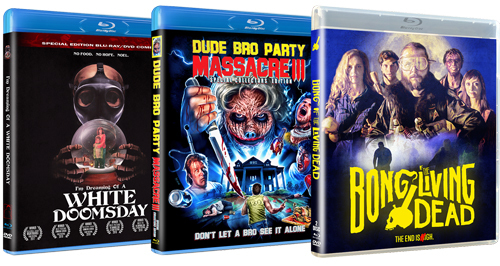 This double feature Blu-ray contains both the original feature film and never before released follow up sequel! Listed for $19.99 you get two films for the price of one! Upgrade to a limited sign copy from cast and crew! Brooklyn Ewing, Jerry Larew Jr, Corey Rutter and Justin Ewing. Alfred James Ellis III, aka Alfie (Jerry Larew Jr) spends his time walking the streets in search of the woman of his dreams. Valerie Vestron (Whitlee Flinn) finds herself in the wrong place, at the wrong time, and now she feels like she is constantly being watched. Her friends decide to take her on a weekend camping trip to help her relax, but when Valerie comes up missing, her friends have even more to deal with from the local sheriff, while Valerie meets the man of her nightmares. The Christmas season is in full swing, and Alfie (Jerry Larew Jr.) has stopped looking for love, and has developed a disturbing friendship with the murder-fueled Detective Baldwin (Corey Rutter). Jake (Elvis McComas) and Kennedy (Justin Ewing) continue their search for their best friend Valerie, and are getting closer to the answers they seek. The old saying goes that you find what you are looking for the moment you stop looking for it, and in Alfie’s case, he may finally find his holiday-loving dream woman.